If you've seen the advertisements for car insurance costing as little as $19 a month, you may well have asked yourself, "True or clickbait?" The answer is both. These ads link to sites offering to find you the lowest monthly premium available to you. Someone somewhere may be eligible for insurance that costs as little as $19 a month. The key phrase is "as little as." If you're curious about that $19 deal, just type “$19 car insurance” into a search engine and see what pops up. You'll get a site or sites offering a comparison of insurance company quotes. Some offer an online comparison, which requires you to enter answers to a number of questions about yourself as well as your vehicle and how you use it. Some sites urge you to call a customer representative. As in any web shopping expedition, be cautious about who you're dealing with, whether you're entering information online or talking to a representative on the phone. The insurance companies whose quotes are used are legitimate. The website you're looking at—or the person you call—may or may not be. Just for the record, we tried to find that $19-a-month car insurance offer by stacking the deck on one site. The quote requested was for an older woman with a modest vehicle and an exemplary driving record, living in the state with the lowest average insurance costs. (That's Maine.) None of the results were close to as low as $19. So, does that mean a $19 monthly car insurance bill is impossible? It's hard to say absolutely, but at the very least it's highly improbable. You may want to check out what the Better Business Bureau has to say on the subject. Shop around. This one is obvious. Get quotes from at least five different insurers. Ten is better. You will be surprised at the range of prices. Check your credit. Car insurance companies typically check your credit score. The better your credit, the lower your car insurance cost. Try to maintain a clean credit record and make sure to correct any errors you find. Reduce your coverage and raise your deductibles. Dropping some options or raising the amount of the deductible, or both, will save you money. Just make sure you're prepared to cover the out-of-pocket expenses you'll incur if you have an accident. 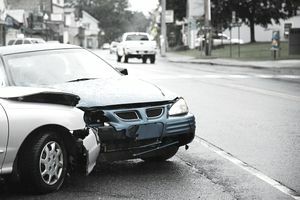 One easy choice is to drop collision coverage on an old vehicle that might not be worth an expensive repair. Take all available discounts. Insurers offer all sorts of discounts, particularly for drivers with good safety records. But some offer discounts to good students, recent graduates, auto club members, professionals in low-risk jobs, and more. Drive safely. There’s no better way to save on car insurance.